When moving to the Orlando area, what do you imagine? Do you think of orange trees as far as the eye can see? Mikey mouse ears as part of the daily norm? Many people who don’t live here get the ideas we are mostly just Disney and Universal- but for those who live in the City Beautiful knows we have so much more to offer. Orlando is home to 1,328,508 people in the metro population (possibly why i4 is still one of the worst roads to take on in the morning and leaving work!). With a growing population, thankfully Orlando supplies a range of living situations you can choose from. 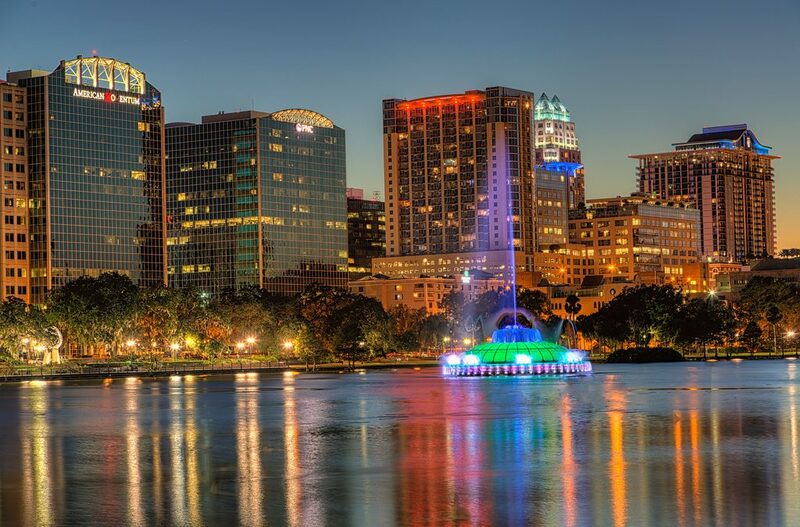 As outsiders may also only imagine, Orlando’s Downtown area that consists of Lake Eola, bustling restaurants, lively nightlife and towering buildings the city life is still found here without the a congested emotion New York city may give you. There is many high rises and cute bungalows located throughout downtown Orlando, with charming cobblestone roads to top. If you wanted to live in a space with windows from floor to ceiling, some of our tp apartment locations supply a modern feeling right here in central Florida. Sky House, 55 West, and The Vue all supply gorgeous panoramic views from your living room, great for viewing the fireworks from Universal, Disney and Sea world every evening! If more cozy confines are your taste, downtown also has older style homes that also withhold history. Dark toned wood floors from years ago and vintage trimmings found through the homes will ensure you feel cozy while also living with the city out of your doorsteps. If you wish to live outside of the city Orlando also offers so many surrounding towns. A classy suburb 15 minutes from downtown and Universal as it’s heart you can find Metro West. Supplying modern and updated features to all the complex ad housing developments you can still live large without leaving the ground level. The housing market in Orlando is actually higher than the national average, but I feel is very worth it because of the sense of community and family living here. Orlando City soccer is something we all take pride in, we have the best farmers market every Sunday full of arts, dogs, and food, and we are always having local events all over the city. Orlando withholds many options as far as the eye can see, with any subject you may think of including housing styles.